The Japanese telecoms giant Softbank has announced plans to invest around $20 billion in solar-energy-power projects in India, joining forces with the country’s Bharti Enterprises and Taiwan’s Foxconn as the Indian government targets a massive expansion in the country’s solar output from some 3 gigawatts today to 100 gigawatts by 2022. Announcing Softbank’s plans, the company’s chief executive Masayoshi Son said, “India can become probably the largest country for solar energy,” Reuters reports. “India has two times the sunshine of Japan. The cost of construction of the solar park is half of Japan. Twice the sunshine, half the cost, that means four times the efficiency,” Son said. The Softbank venture is aiming at generating least 20 gigawatts of energy — a goal which, if realized, will be a significant boost to Modi’s plans to develop India’s renewable energy infrastructure. India is one of the world’s largest carbon polluters; coal dominates the country’s energy mix, according to the U.S. Energy Information Administration. India’s big push toward clean energy generation comes ahead of the Paris climate summit that is scheduled later this year, during which leaders from around the world converge under one roof for climate-change negotiations aimed at thrashing out a successor to the Kyoto protocol to keep global temperatures in check. With its falling cost and availability throughout the year, solar is emerging as a competitor to wind energy, a government official said today. In his address to the 3-day 4th International Wind Conference and Exhibition here, , Principal Secretary, Energy, said that considering this, energy intensive industries should look at wind-solar hybrid, so that they can hedge the cost over a period. Reiterating the support of the Government to the wind energy sector, said that the generators should see how a synergy between wind and solar can be brought about as +that is the way to go+. The power situation in the State was much better now nowy than the past year, he said adding that the Government’s endeavour was to absorb as much wind energy as possible within the constraints. Citing the examples of Germany and China in the management and absorbing capacity of wind, the official asked the sector to learn from them and work out ways of balancing and managing wind. +The way forward is to push wind as a national resource and its management, at a national level and the Indian Wind Power Association (the organisors of the seminar) should work on this,+ he said. The association should also approach the Centre on the need to have a uniform policy, since States were competing each other and incentivising wind promotion, which was not be a sustainable proposition, . With Prime Minister Narendra Modi leading the charge, India has been working hard to encourage investment in its fast growing solar energy sector. The Indian Government has set high goals for the solar industry, with hopes to install 100 gigawatts of solar power, and to increase its solar capacity 30 fold by 2020. Just recently, Re-Invest 2015, the first Renewable Energy Global Investors Meet and Expo, was held in New Delhi. The event was a great success, garnering commitments to invest over USD $200 billion in the renewable energy sector. At least 70 percent of that investment is dedicated to solar energy. India is not the only country with high solar energy goals. However, what India has is unprecedented backing from its government and favorable geographical conditions. When foreign companies invest in India, they may take either the government route, or the automatic route. For the government route, certain business sectors are required to obtain government approval prior to investment. Other sectors are eligible to take the automatic route, where prior approval is unnecessary. The renewable energy industry is one sector where the government permits foreign companies to take the automatic route and allows 100% FDI. Foreigners may invest either as a joint venture or on their own, but do need to comply with the reporting requirements of the Reserve Bank of India (RBI) and other relevant regulations. In addition to open foreign investment policies, the government has a variety of incentives in place. Foreign companies are granted exemptions from certain excise duties and may receive concessions on import duties for equipment necessary to set up a solar plant. For example, solar tempered glass and other raw materials used in the manufacturing of solar energy projects are fully exempt from excise duty. Basic customs duty is reduced to 5 percent for machinery and equipment used for solar energy production projects. Customs duty is removed completely for certain raw materials used to produce solar back sheets, EVA sheets and PV ribbons for solar photovoltaic cells or modules. Other incentives include a 30% subsidy for off-grid photovoltaic and thermal project costs, a 10- year tax holiday for solar power projects, and a payment security mechanism to protect companies from the risk of state utilities or discoms default. Another major facilitator of solar energy growth is the Renewable Purchase Obligation (RPO) regulation. In 2011, the National Tariff Policy was amended to require State Electricity Regulatory Commissions in India to purchase a minimum 0.25 percent in 2012 to 3 percent by 2020. Solar-specific RPO could be increased to 8 percent by March 2019. This RPO guarantees a market for solar energy generated power. In addition to a strong backing from the government, and fast growing economy, India’s geographical location just above the equator, allows for a plethora of sunshine all year round. Most areas in India experience clear and sunny skies over 250 days a year. Annual radiation levels range from 1,600 to 2,200 kWh/m2. This, according to the Ministry of New and Renewable Energy, is equivalent to approximately 6,000 million GWh of energy each year. Investment in Indian solar energy presents many benefits, which have received widespread attention from the international stage. Already, two of America’s leading solar firms have pledged more than 20,000 megawatts of solar energy. In January, U.S. President Barack Obama announced US $4 billion investment for India; half of that money will go towards leveraged financing for renewable energy projects, including solar power. Obama also announced his intention to support India’s solar power push with financing during a trip to the country. More recently, Modi’s trip to China in May produced three agreements for Chinese investment into Indian solar projects. Essel Group, a subsidiary of one of India’s prominent conglomerates, and China’s leading solar energy firm, JA Solar, signed an agreement to set up a 50: 50 joint venture to establish a solar cell and module manufacturing company in India. Canadian Solar (CSI) Solar Power China and India-based Sun Group established an agreement to manufacture solar modules and 5,000 MW of solar power in the next five years. China-based Trina Solar and India-based Welspun Energy also signed an agreement for a Photovoltaic (PV) Industry Park in Gujarat, India. Solar power businesses that want to take advantage of India’s incentive schemes and lucrative market should take note of these high-level agreements. The investment from the U.S. and China is a strong endorsement for India’s growing solar power industry. 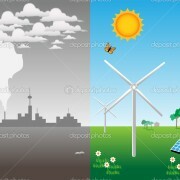 The increasing environmental pollution and depleting natural resources has compelled many countries to focus on alternative sources of energy, and a significant majority has chosen solar energy. Of the countries that have already started accelerating their solar PV installation targets, India and China have taken the boldest steps. Per the International Energy Agency (IEA), global energy demand for electricity generation will increase 37% by 2040. Half of the demand will come from renewable energy primarily from solar PV installations, which will overtake coal as the leading source of electricity. Furthermore, according to Bloomberg, global solar and wind energy project installations in 2015 are likely to increase to 52,000 megawatts (MW) and 60,000 MW, respectively. Of this, a significant portion is expected to be in emerging countries. India and China — Asia’s biggest economies and most populous countries — are expected to lead PV installation over the next several years as the governments of both countries have prioritized solar power. Over the past couple of years, both the countries have accelerated their solar PV goals in order to fulfill domestic energy demand which is becoming a challenge. Solar Power in China: China, the world’s prime manufacturer of solar panels, is emerging as the leading market for solar PV to meet the growing need for clean energy. 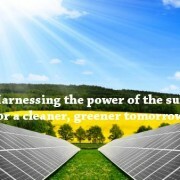 Taking a giant step toward accelerating solar PV installations, the Indian Government, led by Prime Minister Narendra Modi, recently raised the country’s solar target to 100 GW to be achieved by 2022, a five-fold increase over the earlier target of 20 GW. For the current fiscal year — 2015-16 — the government has planned to install nearly 4.5 GW capacity of renewable energy. The successful accomplishment of the target will put India among the world’s largest green energy producers while providing long-term energy security for Indian citizens. Moreover, it will reduce the country’s dependence on fossil fuels which put pressure on foreign reserves while creating ecological imbalances. The solar target set by the Indian government includes residential rooftops and large-scale solar projects. Of the 100 GW solar PV installations, 40 GW is anticipated to be installed on building rooftops, while the remaining will be generated under larger, grid-connected projects, such as solar farms. According to Indian consultancy firm, Bridge to India, currently the country has approximately 4.5 GW of installed solar capacity, which is anticipated to reach 31 GW by 2019. Even then, the country will be roughly 70 GW short of its target three years before the deadline. Installation will likely not be so easy as the government has to overcome a number of obstacles including land acquisition, and grid infrastructure and financing to achieve the target. During yesterday’s announcement, the government stated that approximately $100 billion is required to fund the objective. Given the ambitious goals set by the two Asian nations, over 200 GW solar PV will be installed in the next 5 to 7 years which will have a huge impact on the solar manufacturing industry. However, the opportunities for solar manufacturing companies in the two countries are different. The Chinese solar market is mainly dominated by domestic manufacturers like Trina Solar Limited (TSL – Snapshot Report), Yingli Green Energy Holding Co. Ltd. (YGE – Snapshot Report) and JA Solar Holdings Co., Ltd. (JASO – Analyst Report). These companies enjoy scale advantage due to the sheer size of China’s solar market, thereby making their panels more cost effective than their European and American competitors. Therefore, there are relatively limited growth opportunities for foreign players in the country. On the contrary, the Indian government, given its eagerness to achieve its solar objectives, has made it easier for global solar players to enter the country’s solar market. The government has announced small capital subsidies which will help to speed up adoption in the early phases. It is also planning to attract foreign players with dollar denominated supply contracts to protect that will protect them from currency fluctuations. There is a huge demand/supply gap in the country’s power sector that provides significant opportunities for global solar players to capitalize on. Prime Minister Narendra Modi’s ambitious “Make in India” strategy will further fuel demand. A cheaper manufacturing destination like India will facilitate foreign players in achieving cost effectiveness once mass production starts. This will gradually neutralize the cost advantages enjoyed by Chinese manufacturers. Additionally, the geographical location of India makes it one of the most suitable solar climates in the world, as it is very near to the equator. These projections have put India on the radar of various U.S.-based solar power companies such as SunEdison Inc. (SUNE – Analyst Report) and First Solar, Inc. (FSLR – Analyst Report) which have already started channeling funds to the region. In fact, in early June, SunEdison announced its intention to expand its Indian base by investing approximately $15 billion through 2022. 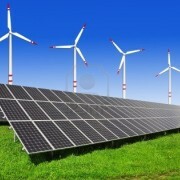 The company plans to develop 15 GW solar and wind projects in the country. It is worth mentioning that in January, SunEdison entered into a strategic alliance with Indian conglomerate, Adani Enterprises, to expand its base in India. Under the agreement, the companies will invest approximately $4 billion to develop solar photovoltaic projects in Gujarat. The partnership would help SunEdison to produce solar panels that will produce electricity at lower cost and reduce the loss of electricity during transmission. It is evident that the demand for renewable energy is strengthening at a rapid pace. Moreover, the gradual widening of the solar markets will bode well for all global players and instill investors’ confidence in the industry over the long term. Considering the ambitious targets set by India along with the added advantages, we believe that the companies which make early foray in the country will be able to capture a larger market share with greater cost advantages. When it comes to solar energy generation, India is fast catching up. 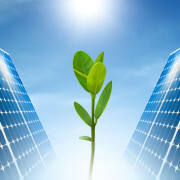 Three Asian countries, India, China and Japan, are expected to dominate the global solar market in the years to come. China might add over 14 gw of energy this year and should overtake Germany in terms of cumulative installed capacity by the end of 2015. India is steadily moving up from the tenth to fifth position globally for new capacity additions. a free survey. Commercial or Residential. India’s recent announcement of adding 100 gw solar capacity by 2022 has created strong ripples in the global solar industry. While it seems like a stiff target, it is not an impossible one. India can emerge as a significant global player, meeting its targets, if it can successfully use alternative and innovative financing options like crowd funding, community funding, green bonds and so on. Cumulative installed capacity for solar projects in the country now stands at over 4.1 gw. In the last three years, India has added an average capacity of 1 gw every year. This year, over 1 gw of new capacity has already been commissioned within the first four months of the year alone. And almost 3 gw additional capacity may be added by the end of the year. India will be one of the most exciting markets globally this year and the long-term potential is enormous. In spite of remaining challenges, the outlook for the solar sector in India is very positive. It is driven by powerful underlying fundamentals such as the rising cost of conventional power, environmental concerns, falling cost of solar power, high solar irradiation, a high power deficit and the ability of solar to quickly bring power generation capacity online. These fundamentals coupled with several state and central government initiatives should result in India becoming a very important global market. From the current 3.3 gw capacity to the tough target of 100 gw in 2022, India’s solar sector would need Rs 6 lakh crore. Out of this, Rs 4.5 lakh crore would be needed in the form of debt. However, India’s banking sector, the chief source of debt in India, is already inflicted with high NPAs, primarily due to the infrastructure and power (conventional sources) sector funding. That limits their appetite to fund relatively risky solar sector projects, whereas low interest rates and longer tenure loans are the key to achieve such humongous leap in seven years. The solar industry is growing so rapidly that we’ve had to update our units of measurement from megawatts (MW) to gigawatts (GW). Below are the top 10 countries using solar power in the world according to installed photovoltaic solar (PV) energy capacity. Think you know the order? You might be surprised…see if you can name all ten countries in the right order before continuing on. German Solar PanelsIn 2010, Germany was clearly the world leader, and has only continued the trend. In 2009 alone, Germany installed 3.8 GW of PV solar energy capacity, and the country has added at least 3.3 GW of new solar capacity per year, and more like 6 GW per year between 2010 and 2012. “The combination of a proven feed-in-tariff (FiT) scheme, good financing opportunities, a large availability of skilled PV companies, and a good public awareness of the PV technology, largely contributed to this success,” European Photovoltaic Industry Association (EPIA) reported. Not only has Italy continued its leadership in solar — rising from fifth place in 2010 to third place as of the end of 2013 — it generates more of its energy from solar than any other nation, with 7.8 percent of its energy coming from solar, compared to 6.2 percent for Germany. Mixing net-metering and a well-segmented FiT (combined with a lot of sunshine), Italy has become a world leader in solar energy. “The future growth of the market will depend on the streamlining and harmonisation of administrative procedures, combined with an adapted decrease of the FIT in the third Conto Energia to cope with the expected price decrease,” the EPIA reports. Japan fell from third place in 2010 to fourth place in 2014, but remains also a country worth emulating — in the past four years the country has grown its solar capacity by more than 500 percent. Government residential PV programs, net-metering, high national solar energy goals to reach 28 GW by 2020 and 53 GW by 2030, as well as the support of local authorities and the private sector make Japan a world leader in this field. In the wake of the the Fukushima Daiichi nuclear disaster, the country has renewed its dedication to solar power, particularly with the recent announcement of the first of many floating solar farms off the island nation’s coasts. It’s hard to believe that a country that grew its solar capacity by 750 percent in four years could still have lost standing in the global solar boom, but that just goes to show how quickly the field is changing. The United States have benefited as much as anyone from the steadily dropping price of solar, aided by smart financing and some supportive state-level policies to grow its domestic solar industry. With many large ground-mounted solar projects in the pipeline, installed capacity in the US is expected to grow significantly in coming years. Additionally, national legislation promoting solar energy (if it comes through) could move the US forward considerably. 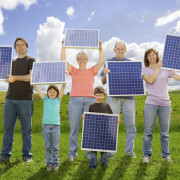 The cap on the federal solar tax credit was lifted in 2009, promoting growth in this industry. Spain was the world leader in newly installed PV solar energy (2,605 MW) in 2008 due to the government’s focus on creating a national solar energy industry, but has since dropped significantly — between 2010 and 2013, the country didn’t even double its capacity, whereas Germany nearly quadrupled its solar capacity. The reasons for this drop are attributed to complexity and delays related to a new government subsidy program and a decrease in energy demand due to the economic crisis. With expectations that both of these will improve in 2010, and considering its excellent sun irradiation and PV potential, Spain is expected to bump up its solar energy capacity again this year. France has continued to benefit from its well-designed FiT for building-integrated photovoltaics (BIPV), but the country’s solar growth has been slowed by a lack of political support for solar incentives, which the the European Photovoltaic Industry Association (EPIA) in a report published earlier in 2014 (PDF)also attributed to attacks from the nuclear and fossil fuel energy industries. The image above shows Belgian solar flowers. Belgium has been a surprising solar contender even since 2009. Belgium’s success was from “a well-designed Green Certificates scheme (which actually works as a Feed-in Tariff), combined with additional tax rebates and electricity self-consumption.” Those policies, coupled with the steady drop in solar panel prices, has kept Belgium growing its solar market year-over-year since 2009. Another poster child for the global solar boom, the United Kingdom was nearly a no-show in our 2009 research — it didn’t make the top 10 list by a long shot, with just 27 MW of solar capacity. But it has made quick growth since then, with the EPIA noting that in 2013, the U.K. nearly doubled its solar capacity, installing more even than Italy, the current 5th-place holder. 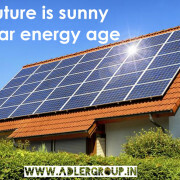 Similar to China, India has fast-increasing electricity demand and it has very high sun irradiation levels. It’s government has also been moving forward strongly on clean energy. It has a goal to reach 20 GW by 2020 as well. “Besides the National Solar Mission of 2009, the market expects much of the possible decision this year to define a longterm power purchase agreement that could definitively trigger PV deployment in India,” EPIA states. India could quickly rise higher on this list with proper government strategies. Fossil fuels must be located, excavated and transported before they can be used. These processes are invasive and detrimental to the land through side effects such as erosion and ecological and geologic instability. Then the deposit or well is depleted. Energy from the sun is infinite and free. It can be harnessed and turned into power anywhere a solar panel can be mounted. Fossil fuels must be burned to produce electricity. Burning them creates unwanted byproducts that can create air and water pollution and release huge amounts of greenhouse gasses into the atmosphere. When in use, solar panels produce power without waste or emissions, and do so through a natural process called photovoltaics. Whether you buy a system and pay it back with electricity savings or you pay a low, fixed rate for your power through a solar PPA, you’ll hit the point where your solar panels have paid for themselves. After that, it’s real savings for your bottom line, and with utility rates climbing regularly, each year you’ll save more with solar than the year before. Fossil fuel deposits are scattered and finite. Their economic worth and uncertainty are enough to cause disagreements that can lead to labor strikes, price volatility, and even war. Solar energy is available nearly everywhere, and will be for another 5 billion years. India could become one of the largest solar markets in the world in the next three years, but potential problems with financing, transmission and land acquisition could trip up the government’s solar plan, according to consulting and research firm . ADLER Solar is a leading solar company dealing in solar products , solar panels and providing complete solar energy solutions.You’ve came to the right place – give us a call! In November, PM set a target of 100 GW of solar generation capacity by 2022, a nearly 33-fold increase from the current capacity. This would include 60 GW of utility scale projects and 40 GW of rooftop and other small grid-connected projects. On the challenges the sector might face, the solar market intelligence firm said debt appetite for rooftop solar projects, including availability and cost, is expected to be a key hurdle. It might also take a long time for lenders to consider rooftop solar projects for non-recourse finance, adding that quality concerns for solar installations and lack of robust legal enforceability of contracts in the build-own-operate model were some of the other challenges facing the sector. “If the government wants to reach 40 GW of rooftop installations, it will need to provide a greater push. This can be in the form of either more incentives from the central or state governments or it can also be obligations at the state level,” , adding that there is need for skill development and creating mass awareness about rooftop solar. At the state level, efficient implementation of net-metering and co-operation of power distribution companies will be key, he said. According to the report, India is likely to break into the top five global solar markets this year by adding 2.7 GW capacity. The country was ranked 10th in 2014. Globally, about 55 GW of solar capacity is expected to be added in 2015, with Asian countries likely to continue dominating the market. 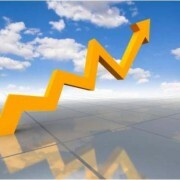 China, Japan and India are expected to be among the top five countries, the report said. “While China overtakes Germany terms of overall capacity, India is likely to overtake Germany in terms of new capacity additions in the year,” the report projected. According to the report, the fundamental hurdle to the government’s solar target is financial health of distribution companies which are not able to afford power despite a deficit in states. The report identifies India’s inability to quickly upgrade its grid and grid management processes in line with the new targets as a key technical hurdle for achieving the targets. Land acquisition will be a key reason for project delays at the implementation stage, it said, adding that such delays are expected to impact timelines of both capacity addition and project allocation. To achieve a capacity addition of 60 GW for utility-scale projects by 2022, there would be a requirement of around $40 billion of debt, it said. “The government currently expects a large share of this to come from international sources. But international debt appetite for solar projects in India is very limited and company is of the opinion that bulk of this amount will need to come from domestic lenders,” it said. According to reports , India is expected to add 24 GW of utility-scale solar PV capacity between 2015 and 2019. Of this, 7.6 GW is expected to come from central government schemes, 11 GW from state government schemes and the remaining 5.5 GW from other projects. 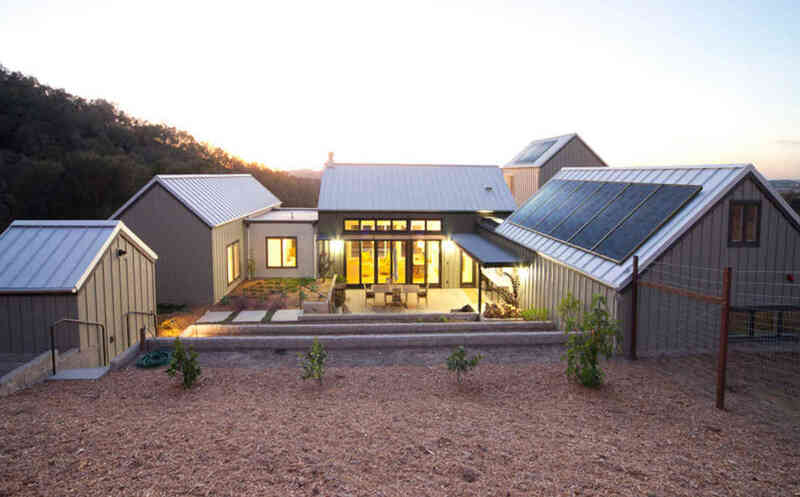 Solar power is more accessible than ever, with installation and consultation more personal and tailored to individual needs and homes. 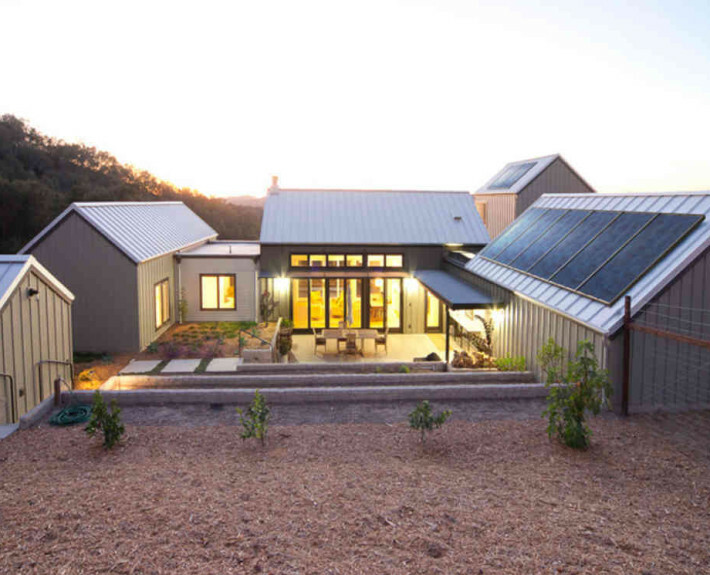 With the right solar expert, modern day solar power isn’t hard to install and has great benefits for both the household and the environment. Most Indians have a busy lifestyle balancing out work and family and are often left wondering whether there is a better energy solution, without the time to research new and valuable information to make that decision. Our experts have provided some useful information for those considering switching to solar, or for the inquisitive energy saver. Using sunlight to power your home is actually quite simple. Solar panels capture sunlight converting it to energy, and then the inverter converts this energy to electricity to use in your home. For those looking to reduce their spend on energy usage whilst maintaining lifestyle and comfort at home, solar may be a great solution. Generating your own power gives you greater control over your energy usage costs. The more electricity your solar power system generates during the day, the less you have to buy off your energy retailer. If you’re generating more energy than you’re using, depending on your location and energy retailer, you could be entitled to feed-in tariffs, meaning you get money back for that unused solar energy that is then fed into the grid. You should contact your energy retailer for more information on this. For those who may be using home appliances throughout the day, including those working from home, part-timers and those approaching retirement, solar could be the perfect solution to help reduce energy usage costs through the daytime period. Solar power is generated during the day, so your daytime energy requirements can be offset – however, you can be smart with shifting some of your usage to the daytime period even when you’re not home. There are timers and smart phone controlled apps that help you schedule the running of your large appliances to the time when you access power from the sun. Solar power systems derive clean, pure energy from the sun, meaning they emit no greenhouse gases, and the energy is 100% renewable! 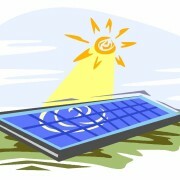 If you’re in the market to sell, let or upgrade, installing a solar power system may increase the asking price at sale. 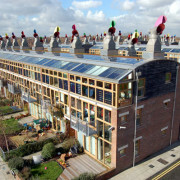 For landlords, a solar system may also make your property more attractive to prospective tenants. Particularly for those environmentally conscious renters, or those simply looking to pay less for their energy usage. With the right solar expert, getting solar installed is not hard, or as expensive as most people would assume. Companies such as Adler Solar offer tailored solar solutions based on an individual’s lifestyle and energy usage, and they can provide a range of ways to finance your solar energy investment.